Home > News, Blog & Events > Science Council on the Moral Maze: Is Science Morally Neutral? Science Council on the Moral Maze: Is Science Morally Neutral? Belinda Phipps, Chief Executive of the Science Council, was invited as a witness for the case that science is not morally neutral. Interrogated by Claire Fox and Michael Portillo, who questioned her on the nature of ‘bad’ scientists and whether more regulation would solve the problem, she raised her own questions over how we can protect public safety from risks inherent in science done badly. 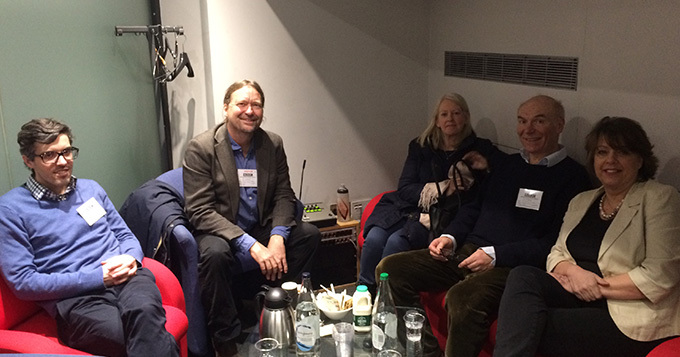 Also called as witnesses were Professor Terence Kealey, Professor Andy Stirling and Bryan Roberts (pictured above in the green room before recording).